One of the first new laws created by the Jewish Bolsheviks when they took over Russia was to make “antisemitism” punishable by jail or death. 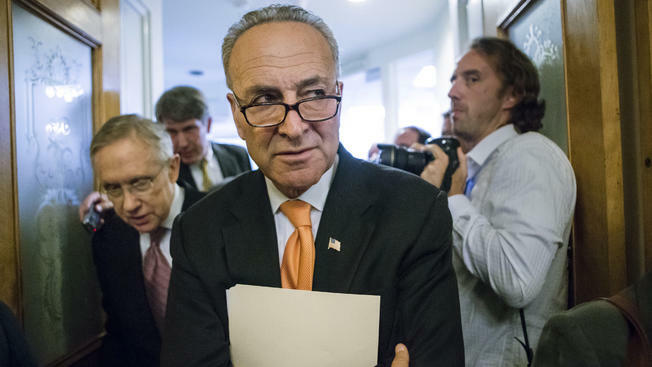 “American citizens are set to be fined up to $1 million or imprisoned for up to 20 years for criticizing Israel or supporting the BDS boycott, thanks to new legislation sponsored by Senate Democratic leader Chuck Schumer. Anyone guilty of violating the new prohibitions will face a minimum civil penalty of $250,000 and a maximum criminal penalty of $1 million and 20 years in prison under the new law. According to the ACLU, the Cardin legislation would “bar U.S. persons from supporting boycotts against Israel, including its settlements in the Palestinian Occupied Territories conducted by international governmental organizations, such as the United Nations and the European Union. Although this bill was first introduced in 2017, it continues to gain traction with more co-sponsors recently signing on. One of the first new laws created by the Jewish Bolsheviks when they took over Russia was to make “antisemitism” punishable by jail or death. Despite its freedoms, the United States is now following in Russia’s footsteps, with Jews like Chuck Schumer leading the charge. One hundred years later, we find ourselves in a very similar situation – proposed Federal laws protecting Jews from criticism. Only criminals and liars are afraid of being criticized. What other ethnic group is powerful enough to demand such draconian laws to protect them from criticism? Muslims do obviously. So do black americans. They are empowered by the left, or the billionaires who pretend to be leftists. This is A bad policy for regular Jews, I still conclude that multiculturalism is better for white gentiles than it is for Jews, since it allows white gentiles economic power, military power, and the ability to keep censoring the Jews who fight for Jewish rights openly which would enrage white gentiles and promote the corporations of the world to back A strong Israel against their enemies instead of backing america and europe. Those BDS activists use every position they have to boycott Israel, government, protestor or business, and they will use those same powers to boycott all white advocates and all white nationalists forever. It is not clear that it isn’t right to use the same strategy against them. War is not debate, they are not willing to debate, so most of what is left is optics and war. The UN just passed their migration pact which makes it illegal to criticize immigrants, today so I wonder if this is A thought experiment or A real threat to free speech. In Japan and much of the world the media does not accuse the people of being racist for not supporting multiculturalism, coexistence and equality. If everyone were equal their would be no point in not letting them into your country. It would be an amazing opportunity to promote media to make it illegal to accuse white people of racism in one or all of the eastern European nations. It sounds unjust to white gentile morals not to be allowed to criticize Israel, there is also not the competition for dominating the corporations there is with boycotting Israel. Most of you do not accept how important Israel is to your nation and race, that is to bad. If we do not get it clear in our heads what is appropriate for this war, and what is appropriate for debate and maintaining the moral high ground then we will lose A great deal of ground. In G-d I trust. This entry was posted on November 23, 2018 by HKW in Uncategorized and tagged Chuck Schumer, Criticizing Israel, Imprisonment for Criticizing Israel, Jewish senator want to imprison Americans, United States.